St Johns Forest - Home is currently under termite bond. Immediate occupancy available. MLS#3487410. Coldwell Banker Residential Brokerage. 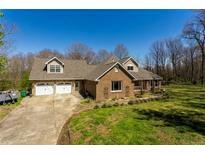 Lexington Commons - I have had several inquiries on this home already. Home will not last long! MLS#3487626. Keller Williams Ballantyne Area. 1.16 acres of land and a 16x20 inground fenced in pool with a concrete deck for those nice sunny summer days. MLS#3486283. Mark Spain Real Estate. Hamilton Place - This one is a must see even if you are looking for New Construction. MLS#3486801. Sycamore Properties Inc.
Amazing opportunity to be in a lake community and close to downtown Monroe, restaurants, golf, hospital, and multiple educational options! MLS#3487022. Wellspring Realty, Inc.
Oakstone - This home will not last long. MLS#3479612. Equity North Carolina Real Estate, LLC. Vineyard - Please Submit Highest And Best By 2pm On Sunday, March 24th. MLS#3485124. Loretta Realty Group. This beautiful home wont last long! MLS#3484890. Keller Williams Union County. Myers Meadows - End your day on the beautiful front porch where you can truly enjoy southern living. MLS#3484466. Parker Realty Home & Land LLC. 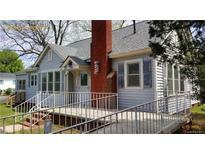 Bridgewater - Bonus room with window seat and could be 4th bedroom...large storage closet. MLS#3485929. Allen Tate Wesley Chapel. This is your chance to buy a Historic home with all the Modern Updates. MLS#3485749. Realtynex. St Johns Forest - New HVAC in 2016 and fresh paint throughout! This is a fantastic home! MLS#3481926. Allen Tate Ballantyne. 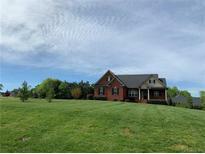 Country Ridge - Property is close to the new Monroe ByPass making commutes to Charlotte a lot easier. MLS#3484935. EXP REALTY LLC. Lexington Commons - Please note that the pool is one year old, has been winterized and the filter equipment is in the garage. MLS#3484909. Coldwell Banker Residential Brokerage. This home is part of the Barbee Farms HOA. MLS#3484314. Opendoor Brokerage LLC. A well-planned and immaculately maintained property. MLS#3483424. EXP REALTY LLC. Master Up w huge deck MUST SEE MLS#3484731. Prestige Properties Carolinas. Brekonridge - New waterproof laminate flooring in the kitchen and living area. Overhead storage in garage. MLS#3483013. Keller Williams Union County.